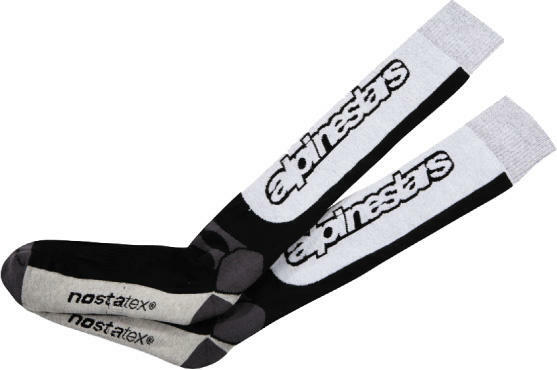 Designed for Motorcross and off-road use, Techstar socks are the perfect complement to Alpinestars off-road boots, giving comfort and improved moisture shedding capability. Constructed using Coolmax® to help keep feet cool and dry. Ribbed design to reduce bunching at the ankles and heels. Highly elastic, anti-bacterial and odor resistant. Knee length to accommodate use with off-road boots.